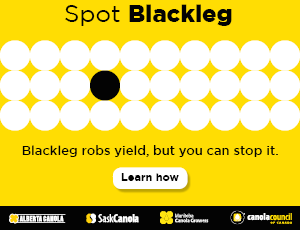 For this new series, Canola Council of Canada agronomy specialists take a particular agronomy challenge and provide solutions, with consideration for risks and costs. 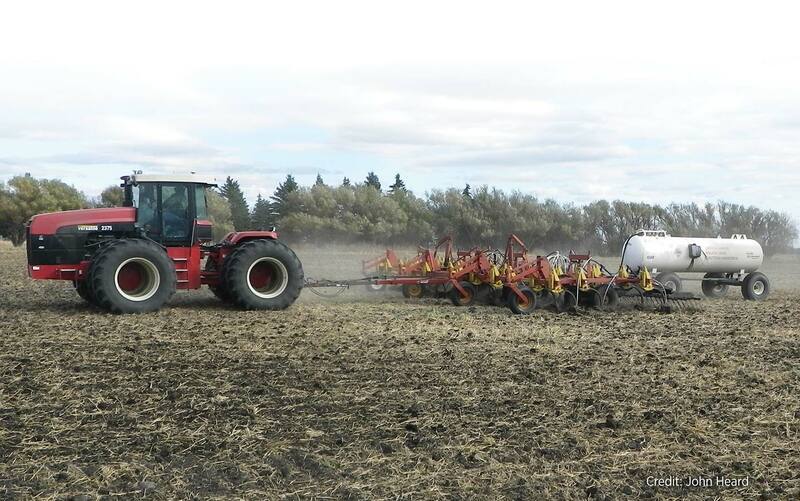 In this case, Warren Ward looks at fall fertilizer applications as a way to meet canola nitrogen needs while stream-lining spring seeding operations. Current yield potential in canola is high, and in many cases far exceeds actual nutrient applications. Yields could be improved with some basic changes to canola fertility. The logistics of applying higher fertilizer rates to meet the nutrient requirements of a high yield target are a challenge. Applying all fertilizer at seeding is the traditional approach, but with more product applied, it becomes time-consuming and means a lot of product to handle at a busy time of year. Could some of the nitrogen – which is the largest requirement in terms of bulk and cost – be applied in the fall? Consider the fate of applied nitrogen. Ideally we want to see it in nitrate form in the root zone and at a sufficient amount when a plant needs it. Risks with fall-applied nitrogen are leaching, denitrification and volatilization, which will reduce the available amount. Another risk is not being able to seed the field in spring even though the fertilizer investment has been made. Leaching may occur when the nitrogen fertilizer converts to nitrate and moisture moves it deep into the soil profile, beyond the root zone. This can become a higher risk in the spring on fertilized fields. Volatilization can occur when a product such as urea converts to ammonia. Surface applications of urea or UAN would be particularly susceptible to this. While the risk of not seeding the field is probably the most severe risk, it is hopefully the least likely to occur and is mainly out of our control. Fall nitrogen applications still have a fit in our cropping system despite the risks. To reduce losses, apply when soils are cold (<10°C), apply the product in a band (3” deep) and avoid fields that are poorly drained or prone to flooding. Floating is a higher risk option, especially for nitrogen applications. Nitrogen stabilizers such as urease inhibitor, nitrification inhibitor or polymer-coated urea can provide additional protection from nitrogen losses. The right product will depend on what type of loss you are trying to prevent. Nitrogen stabilizers come at an increased cost, so weigh the potential benefit from reduced losses to the risk of incurring those losses. If you don’t anticipate high nitrogen losses and you follow all of the best management practices, then your traditional form of nitrogen may be your most economical choice. The return on investment (ROI) for fall-applied nitrogen will be positive if losses are minimal and if nitrogen can be purchased cheaper at that time of year. Considering that putting all of the product down at seeding may no longer be an option, the cost of another pass over the field will likely be the same no matter when you do it. Fall banding will use more fuel than floating, but the placement can make up for that. If you want to reduce wear and tear on the seeder, you could use an old seeder or NH3 applicator. Intangibles such as time saved at seeding could make this a good investment. and open the Fertilizer Management section. Warren Ward is the Canola Council of Canada agronomy specialist for southeast Saskatchewan.